Relative Theatrics is a Laramie-based theatre company with a mission to bring thought-provoking, dynamic theatre to South East Wyoming. BE THE FIRST TO LEARN ABOUT NEXT SEASON! 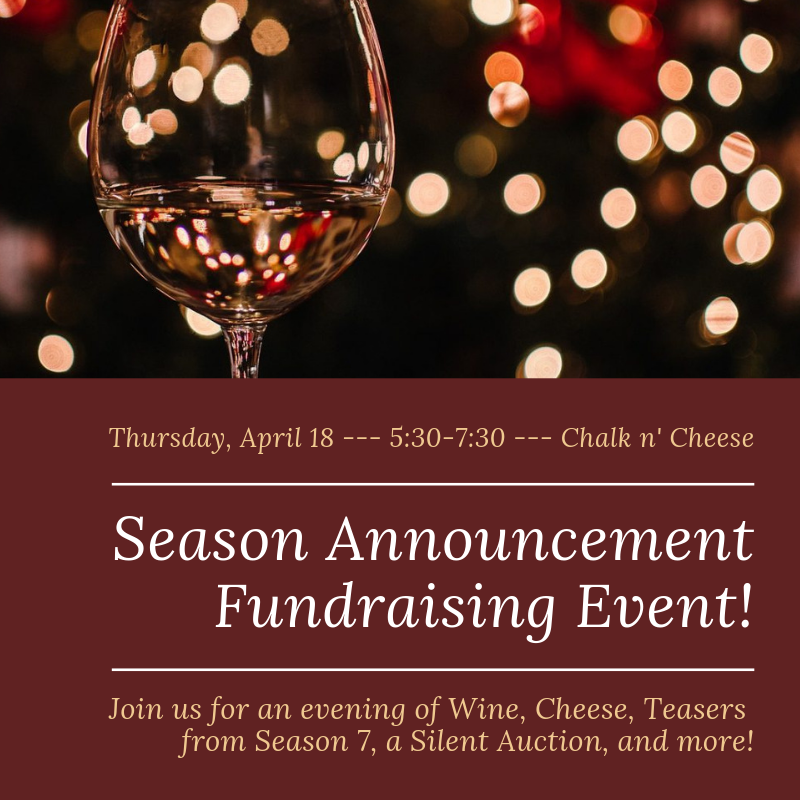 For $35 you get 2oz tastings of 6 different wines, a sparkling reception, and a special RT cocktail - all while enjoying meat, cheese, and other refreshments, a silent auction, the company of fellow Relative Theatrics supporters, and an exclusive sneak peak at our 7th season. We hope you can join us!